Dubai is famous for her iconic buildings and magniﬁcent skyline and there is no better way to see it all from the air. 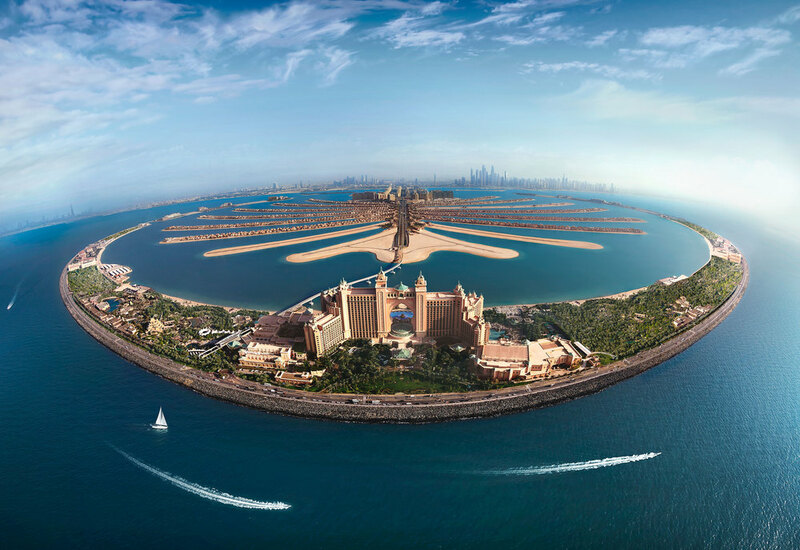 As you take off from The Palm Jumeirah or your 15 minute ﬂight of a fly time you will 2 soar over the beautiful Arabian Gulf coastline, the incredible Palm Island and pass right by the Burj Al Arab and The World Islands. Heading inland you’ll ﬂy over Union Sguare, Sheikh Zaged Road an the Mall of the Emirates and of course no helicopter tour in Dubai woul be complete wit out cruising past the world’s tallest building, the Burj Khalifa (featured in Mission Impossible 4). After taking off at Mannheim city airport you fly to Ludwigshafen. Via Bad Dürkheim to Neustadt, Landau and castle Bad Bergzabern to Speyer and along the Rhine back to the airfield. Exclusive Basis: Eurocopter EC 130 B4 with capacity of 6 passengers Maxi Helicopter Tour of Dubai: Palm Jumeirah, Atlantis Hotel.